Imagine Having A Business That Is Profitable And Makes You Excited To Wake Up In The Morning! 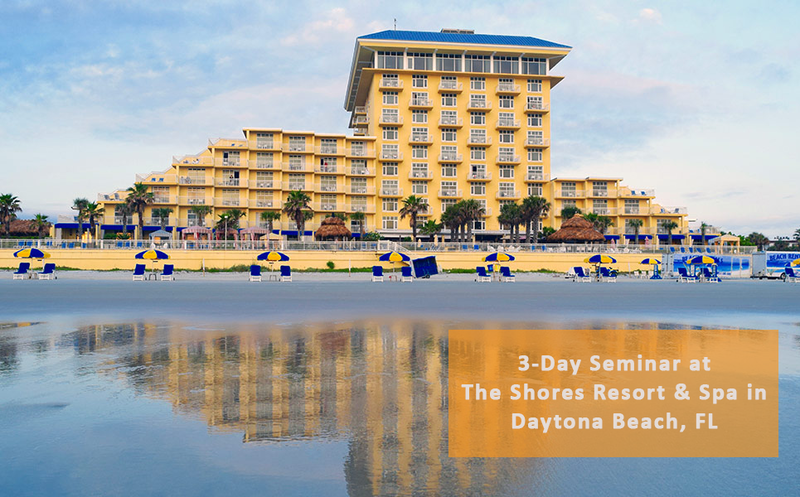 The InSPAration Management LEAP Ahead Leadership Seminar is a 3-day event where we will share a PROVEN blueprint that you can use again and again to effectively operate your Spa or Medi Spa. Imagine earning the money you deserve. And think about what it would be like to buy anything you want … when you want … without wondering, “Can I Afford It?” The LEAP Ahead Leadership Seminar will take you there. When you claim your ticket and carve those 3 days out of your schedule, we’ll give you everything you need to “drag and drop” into your existing Spa or Medi Spa so you can enjoy more profits, more revenue, and less stress and fretting. You’ll no longer have to beat your head against the wall trying to figure it all out for yourself. Your days of using the “trial and error” approach to building your business are over. 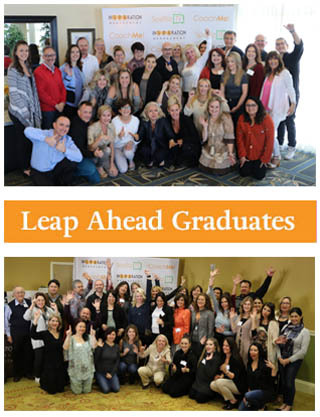 When you attend the LEAP Ahead Leadership Seminar, you’ll get many “aha” moments that could allow you to get your investment back over and over again and MORE! A STEP-By-STEP Marketing plan you can implement into your Spa or Medi Spa business right away … this plan has been PROVEN by a multitude of spa owners and can really be “money” for your business! How to piggyback on the hard work of other businesses to attract more clients to your spa and maximize its exposure—most spas NEVER do this! How to implement in-spa marketing strategies to get your clients to buy more from you – it’s 10 times easier to get an existing client to buy more from you … so if you’re not using these strategies, you’re missing out! The secret to consistently building your database and creating promotions that will generate sales and revenue for your spa. This is like constantly tapping into a well of money! The optimum financial ratios in your spa or medi spa business … what they should be and how you can change it (This is how you “gauge” the health of your spa). You’ll even get proprietary tools for calculating these numbers so you don’t have to do the work. You will receive a proprietary system for creating a performance-based compensation plan — the VPG ComPlan is exclusive to InSPAration Management — the Volume per Guest compensation model is based on performance. That means you pay when your team performs! How to utilize a budget to manage your business. This allows you to know how much is coming in and going out of your spa — knowing these numbers guarantees a healthy business and prevents you from making financial mistakes. How to turn your receptionists into maximum profit producers so you can turn your reception center into a TRUE revenue generation center (They’re not there just to take phone calls!). You’ll also receive the Guest Relations Podcast. How to boost your client value for both retail and services — this is the hidden profit that’s ready to be awakened in your business! The keys to generating geometric growth in your Spa or Medi Spa business … including how to set team targets and revenue generation. This assures your growth is constantly moving up instead of stagnating. The proprietary C.L.A.R.I.T.I. Team Building System for hiring and retaining a productive team. You don’t want to hire just anybody off the street … this system will give you the ultimate blueprint for hiring and team building. Techniques for providing a training curriculum to develop your team. This will allow your team to work better together and decrease turnover. How to set performance expectations … we’ll even give you performance review forms you can implement in your business so you don’t have to create one yourself! The secret for establishing a career path for your team — this will allow you to build a stronger business since each member of your team will be motivated and driven. How to give rewards and recognition to your team members … including examples you can use to implement for your own spa or medi spa business. The untold steps for keeping your team motivated, energized and engaged. This will ensure they perform at their best every single day while they’re working for you. The secret to understanding the behavioral styles in order to improve communication with other people. You’ll be able to best flex your style in order to communicate and influence others. The impenetrable characteristics and skills you need to become an effective spa leader (Miss out on these and you’ll run a subpar business). How to establish a clear vision, values, mission and spa goals. This will set the standard for your spa — a standard your team members will emulate. The secret to being transparent in your business … how to share the organization with your team (This will engender trust with your team members). How to effectively delegate tasks and manage your time — this is VERY important so you can get more done in less time without any hassle. Leadership dos and don’ts that could make or break you or your business. This is extremely important … otherwise your business will sink like quicksand. A personal assessment as to what kind of leader you are so you can improve your skills (This could be a HUGE eye opener for you). How to create a memorable guest experience so they’ll come back and tell their friends about you. This is what’s going to give your spa an edge over your competition! The secret to designing unique rituals and treatment protocols your guests have never seen before … this will put you in a Category One in your guests’ minds! How to create a unique story and image for your spa or medi spa so that it’s a no-brainer for prospects to do business with you … this will set you apart from your competition. The steps to creating a secret shopper program so you can see what really goes on behind the scenes at your spa. This is something most spas do not implement and it can reveal holes in your business. How to gather feedback from your guests so you can constantly improve your spa and address deficiencies that may exist without your knowledge. Check out the schedule and daily overview below to learn more about the excellent training program in store for you! Steps to Maximizing Upgrade Opportunities and Retail Sales – P.R.I.D.E. Implementation Strategies & Graduation Celebration! Total Bonus Value of $2,187! 50% off a 2nd person! 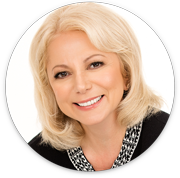 Author, Speaker, & Founder of InSPAration Management, a firm specializing in spa & medi spa business development, advanced education, and BizTools. Over the past 19 years, Dori has contributed to the success of spa companies worldwide. Dori’s passion is developing innovative, effective educational programs and business strategies leading to exponential growth and profits! 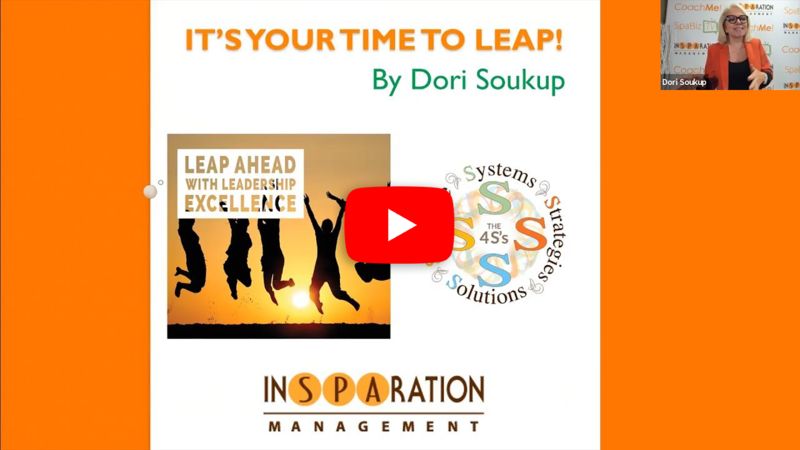 Dori’s Business Success Library and Leadership seminars are delivered in a clear and concise manner, providing spa and medi spa leaders with implementation blueprints to ensuring success. She is the recipient of the American Spa Preferred Educator award and is a sought-after global speaker within the spa and wellness industry. 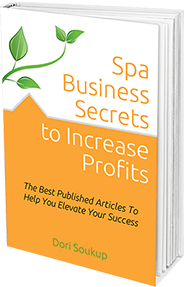 Dori is a published author, her articles and insights are featured in national and international trade publications, and you can find her book Spa Business Secrets to Increase Profits on Amazon.